Well it’s no secret that the beard is spreading. I have been making notes of them over the last few weeks and here are a selection of my favourites. I’m sure this chart is relevant way beyond Clapton. If you have any more types that you feel have been missed off please let me know and I’ll add them on. It might end up being as comprehensive as the infamous Bristol Stool Chart. 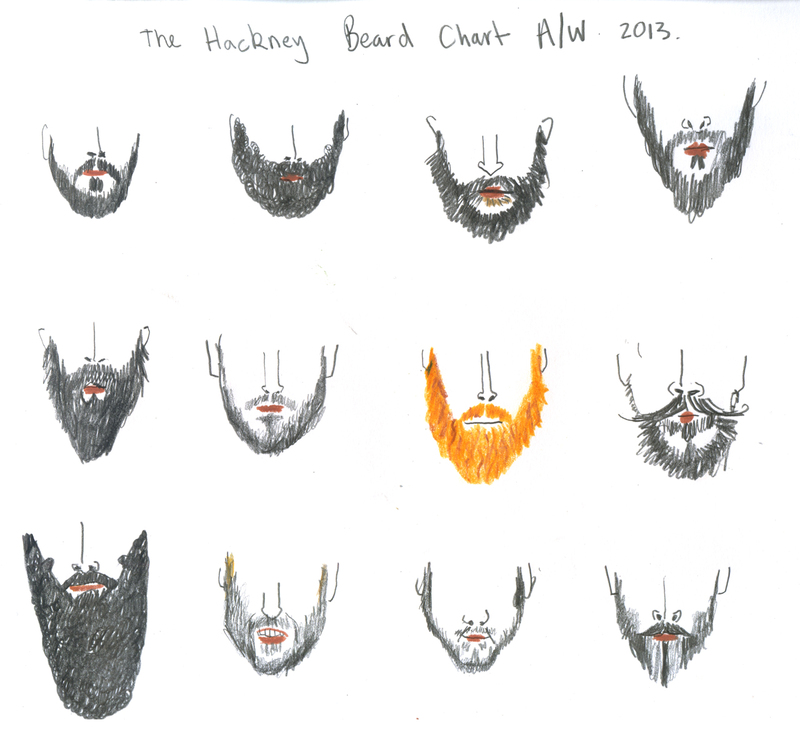 This entry was posted in opinion, Trendy and tagged beards, Clapton, ginger beards, Hackney, humour, illustration, Laura Quick, satire. Bookmark the permalink.